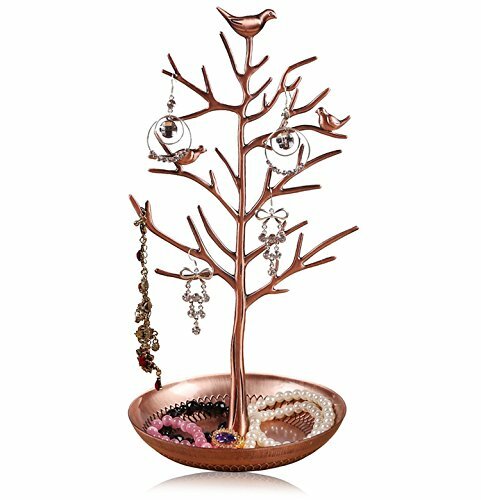 ✔ KEEP “ANY” JEWELRY ➜ Joy Jewelry TreeTM is TALL enough to help you to organize your lovely earrings, rings, necklaces, bracelets and any other jewelry without the messy alien box. 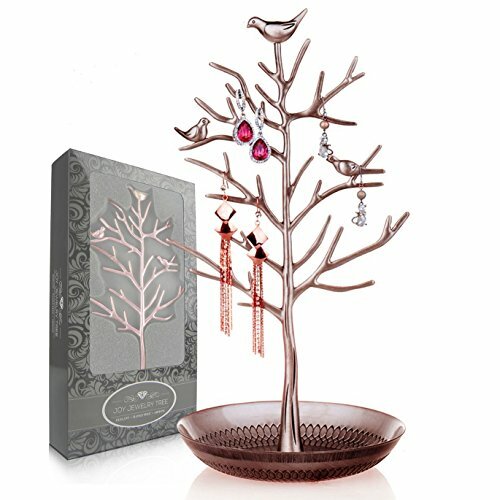 The “branches” on the tree provide a nearly unlimited way for you to hang jewelry. 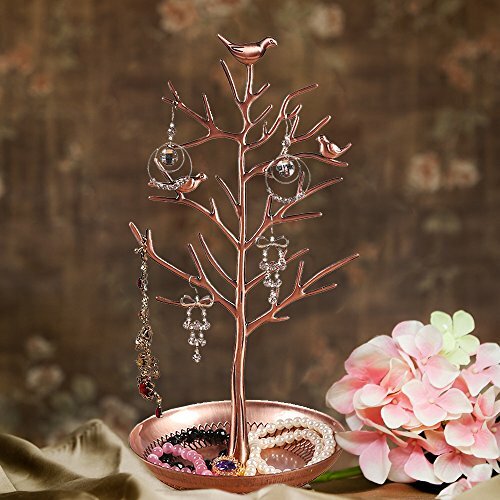 The tree can hold a massive amount of jewelry when using the saucer as well as the branches. 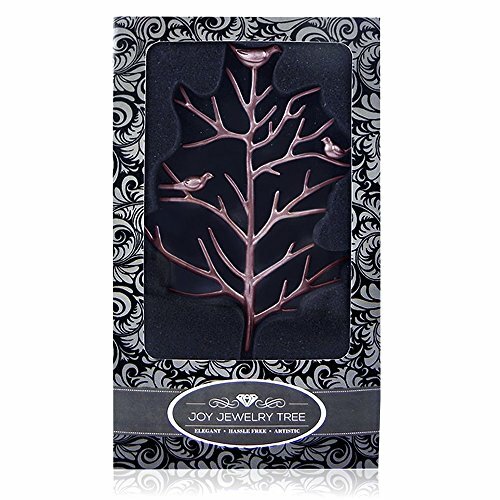 ✔ KEEP YOUR LOVELY JEWELRY WITHOUT HASSLE ➜ Joy Jewelry TreeTM is not too big or too small; it fits everywhere in your house. 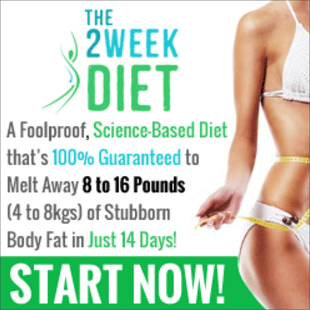 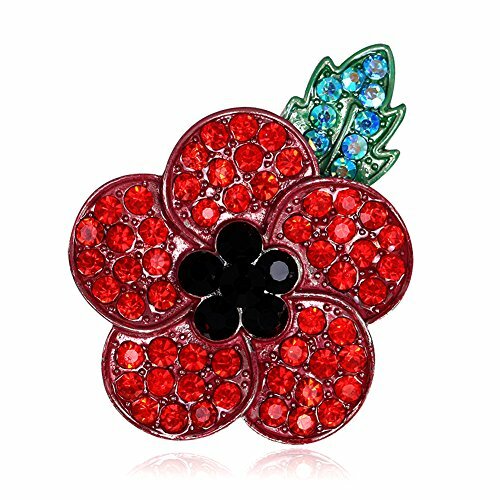 Ideal for retail shop counter display OR in your dresser. 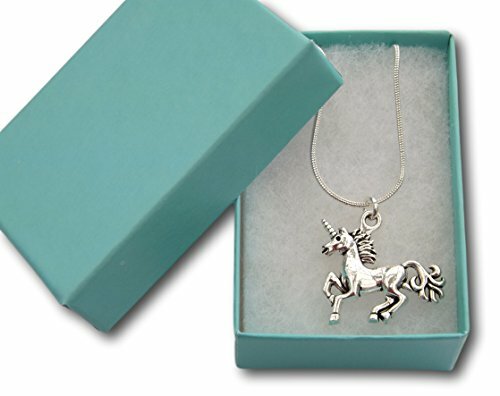 Why hide your jewelry in the box/drawer while you can present it glamorously? 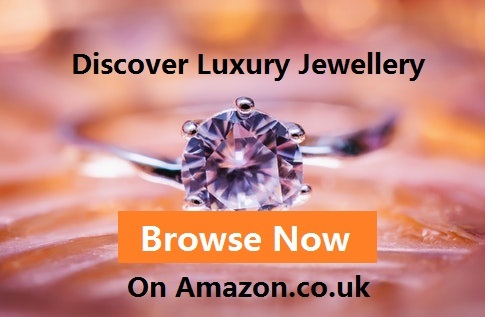 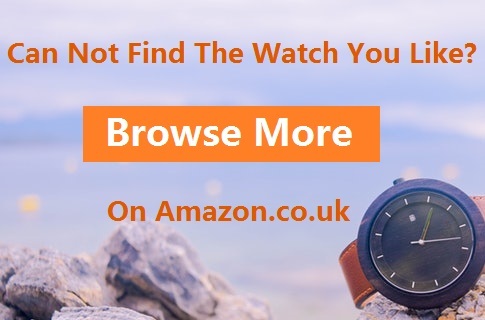 You can have it now by clicking Add to Cart button at the top of this page! 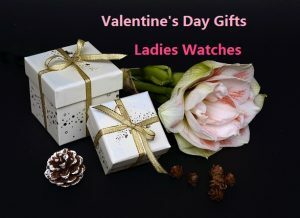 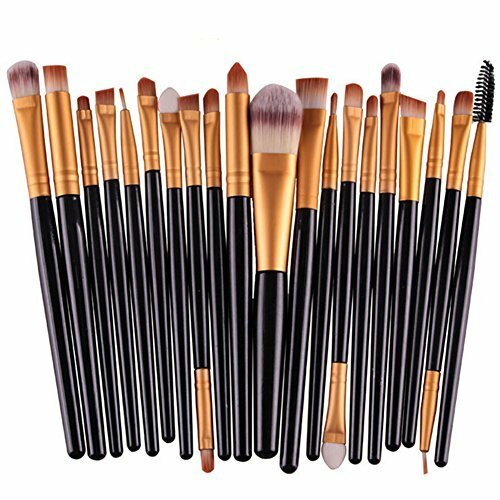 Consider buy two or more for backup/gift to your friend. 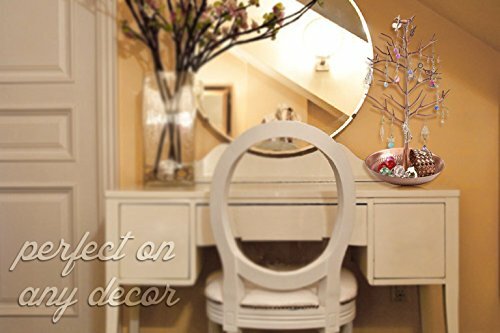 ✔ GLAMOROUS WAY TO ORGANIZE ➜ You can clean Joy Jewelry TreeTM with simple wipes at any moments – this Jewelry Holder Tree is much more durable than the others. 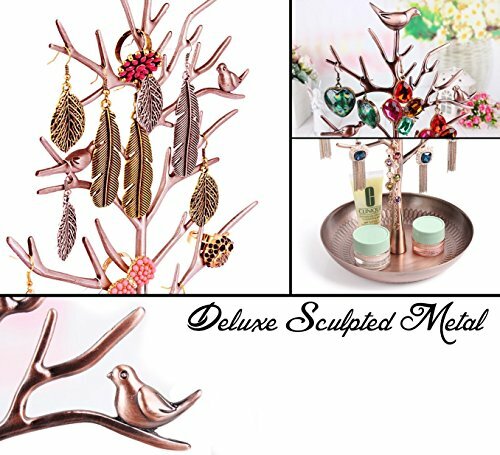 With its silver varnish and polished, heavy duty metal, the Joy Jewelry TreeTM Display Stand is a great investment to have as a part of your jewelry collection. 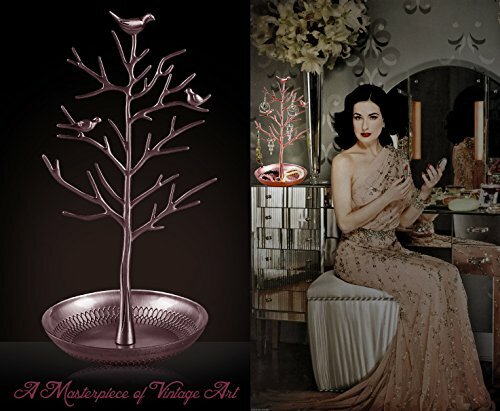 ✔ AS IF IT WERE A MASTERPIECE ART ➜ This is not only a Jewelry space-saving holder display stand, but also a stylish, sophisticated and award-winning piece of art. 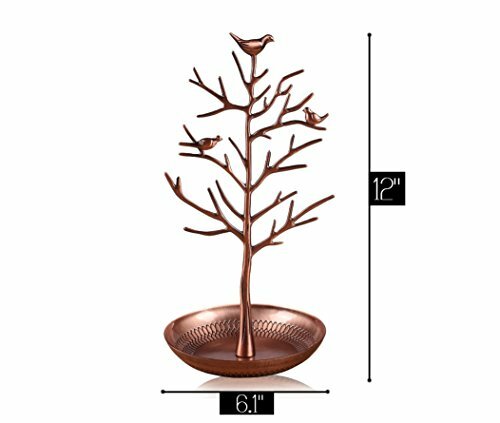 Its attractive design will naturally decorate your room while saving you time and space. 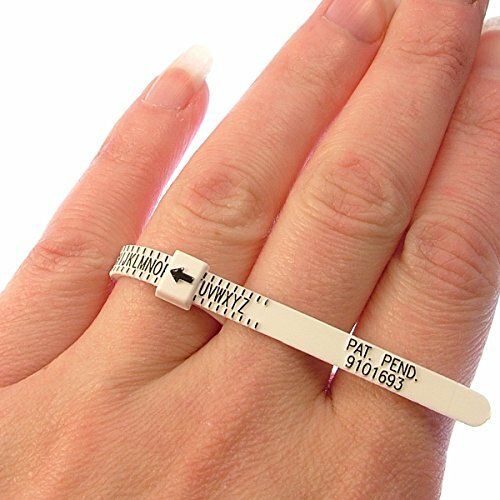 A must-have for any stylish woman with lovely jewelry.